PROTHERM, LLC™ was founded in 1985 by Robert Beattie. With over 40 years experience in the infrared heating industry, Bob saw the demand for a high quality, reasonably priced infrared heater supplier. 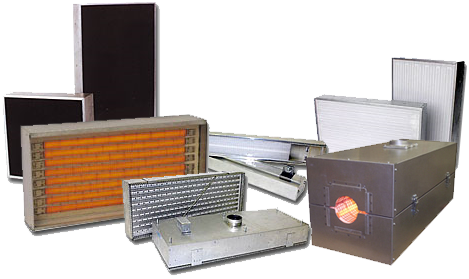 With innovative designs, unique heating elements, and high efficiencies, PROTHERM, LLC™ has become a leading manufacturer of electric infrared heaters to a world wide customer base of both end users and OEM accounts. As a service to our customers, PROTHERM, LLC™ added the design and manufacture of custom controls, frameworks, and complete systems. Operating from a 11,000 sq. ft. facility in Brandon, MN, PROTHERM, LLC™ insures both prompt delivery and product integrity from our complete in-house fabrication. PROTHERM, LLC™ is proud of our dedicated team of knowledgeable staff and fabrication specialists. Let us assist you in selecting and building a quality heating solution for your application. PROTHERM, LLC™ employees are the reason for the company's success. Teamwork is important to all at PROTHERM, LLC™, and our accomplishments in designs and short lead times proves the concept.